Nobody saw this pair coming. What's this? 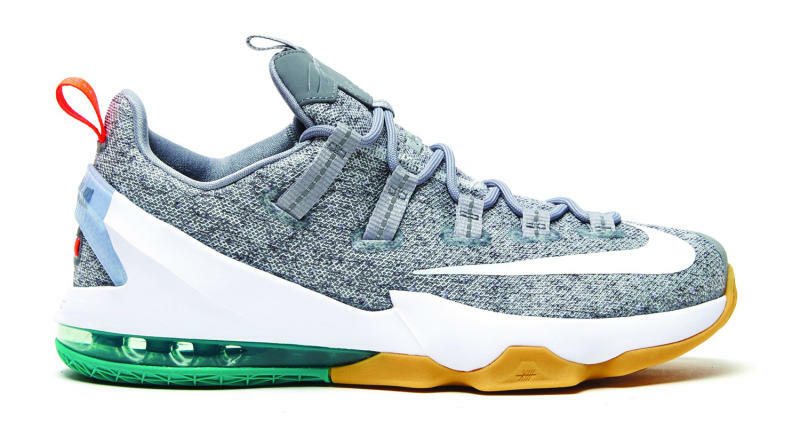 A new Nike LeBron 13 Low colorway that's never been seen before but is already in stores? The LeBron 13 Low has been a strange shoe with its releases from the beginning–Nike still hasn't said very much about the model–so perhaps it's not too surprising there are ones out there that fly under the radar. Still, one usually expects a leak to precede a retail release these days. This Nike LeBron 13 Low, which wears a gum bottom and a curious heather upper, is available now at UNKNWN. LeBron James himself is one of the owners of UNKNWN, so that might explain their lead on the shoe.